Note: No receipt will be issued, proof of transaction by bank statement, but please clearly write your name and unit address behind your cheque. For the good of all parties please refrain from paying cash. This is the only way to avoid any mishandling of cash or any recording error by the security guards. 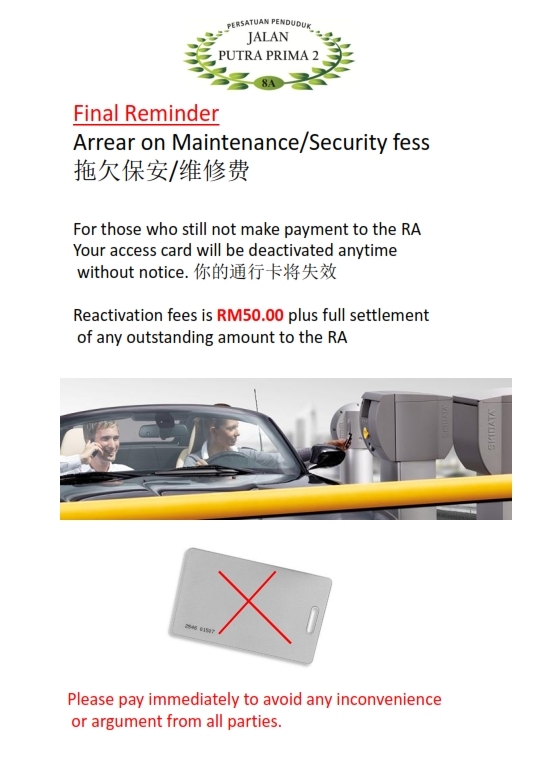 The RA & Guards prefer Cheque for safety and convenient of all parties.